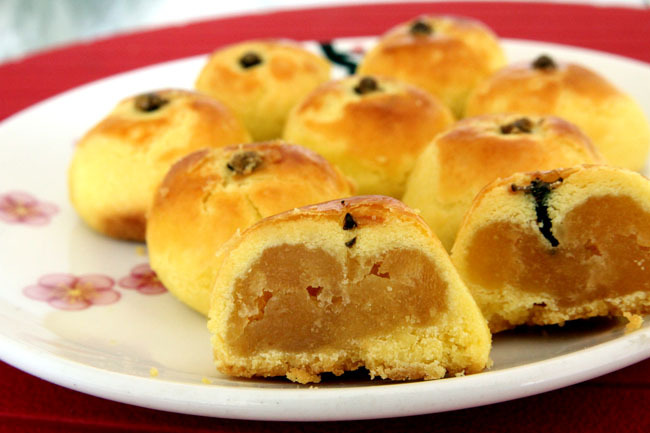 Talking about pineapple tarts, these bite-sized pastries are perhaps the most representative item of the Chinese New Year in Singapore. 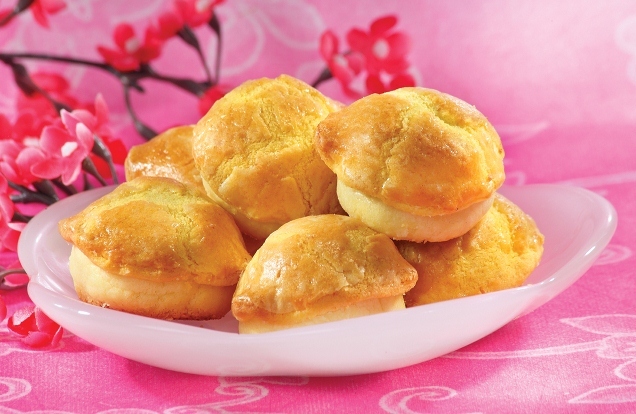 Topped or filled with pineapple jam, the tarts are a must-have for many because the pineapple in dialect is called ‘ong lai’, symbolising the arrival of prosperity. 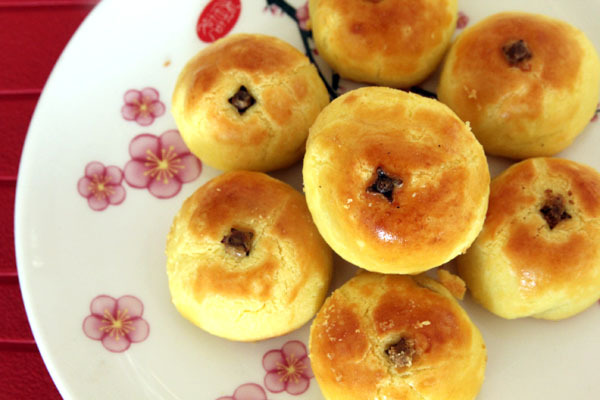 You may have tried the popular ‘bo lo’ bun at Hong Kong’s cha chan tengs. Also known as the pineapple bun, the checkered top of the bun resembles the outer of a pineapple but does not really contain the fruit. I love it for the sugary top crust which contrasts with the soft buttery soft dough. The very creative Crystal Jade My Bread has R&Ded ingenious pineapple ‘bolo’ tarts. Imagine that same bun in a bite-sized tart, with the same crumbly goodness, centered with delicious pineapple jam. It is just amazing how the entire texture of the tart feels exactly like the ‘bo lo’ bun, except it is much smaller. Having the best of both worlds, this tart is almost unbelievable and extremely addictive. A tip: Have them chilled and the cold jam adds a whole new dimension. 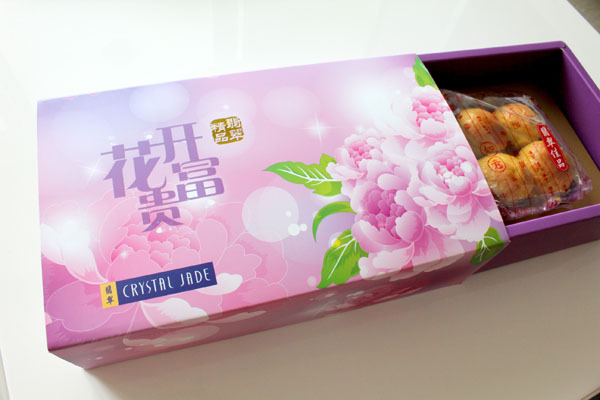 What you see in the pictures are the Golden Pineapple Tarts, while the Fortune Bo Lo versions are exceptionally divine – so much so that my family finished a box of 8 in a matter of minutes before I could shoot pictures of them! Errr….a bit of a let down…..
Super cute! Anw, Thomson plaza Crystal Jade My Bread close already!